Are you looking for the best massage parlours in London? Our aim is for customers to enjoy their time with our professional, international, young and skilled massage therapists , experience full body relaxation through their treatments, leaving happy and wanting to return for me. The customer always comes first. We provide many kinds of massage to both help you relax from the stresses of everyday life and also reduce stiffness and ease the aches and pains of muscle and joint problems. 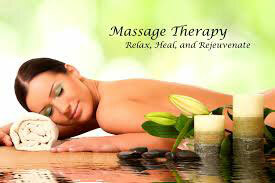 You can discuss your own personal requirements with your friendly and experienced masseuse.